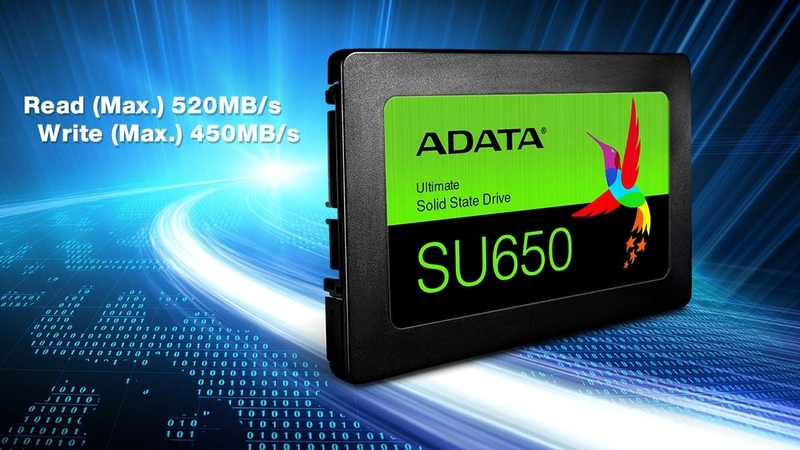 The SU655 solid state drive lives up to its Ultimate name with 3D NAND Flash that provides higher storage density, efficiency, and reliability than traditional 2D NAND. It features intelligent SLC caching and a DRAM cache buffer to boost read/write performance even further. Featuring LDPC ECC and technologies such as high TBW (total bytes written) and DEVSLP (Device Sleep), the Ultimate SU655 instantly upgrades notebook and desktop PCs with superior stability, durability, and power efficiency. In addition, users can download ADATA in-house developed SSD Toolbox and Migration Utility software for free to enjoy easy data management and migration. 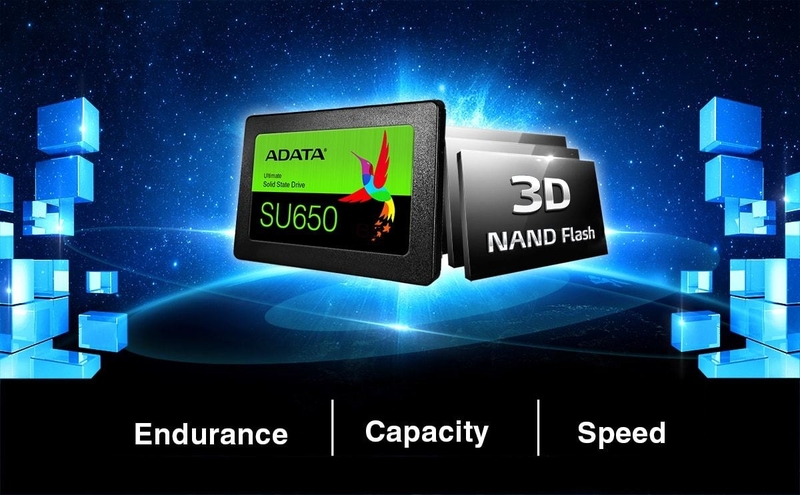 Implementing advanced 3D NAND Flash, the Ultimate SU655 features bigger storage capacities, higher efficiency, and rugged reliability with better cost-performance ratios than ever. The Ultimate SU655 reaches read/write speeds of 560MB/s and 520MB/s to accelerate PCs.